I have only very recently embraced the whole scarf trend. It’s like when I was a young adult, like college age and I had a hard time carrying a purse. I felt like such a poser carrying around a purse like some kind of adult lady. It honestly took me until my late twenties before I was comfortable with toting around a handbag on the regular and not feeling like everybody thought I looked like an idiot playing dress up. The scarf thing was pretty darn similar for me. I felt like I was this early 30 something trying to embrace a hipster fad and I felt like an idiot. But then this winter I got a scarf that I was mad about and I wore that thing like crazy. It was purely for functional reasons because it was cold as a witch’s you-know-what up in Oklahoma last year but I found that I liked wearing it after I got used to wearing it. So accesorizing scarves weren’t too far out there anymore. Now I can embrace infinity scarves and not feel like a total jerk. Yay! 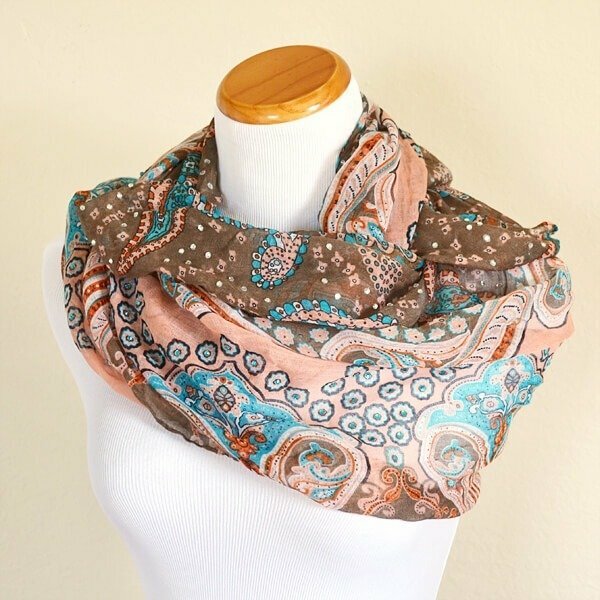 And since I’m also a girl that loves her bling (in moderation) I decided to keep an eye out for a scarf that would lend itself brilliantly to some sensational rhinestone action. I was surprised that I found the perfect scarf for $5 at WalMart but I LOVE how my scarf turned out and no one will ever think this sucker was a cheapie bargain! 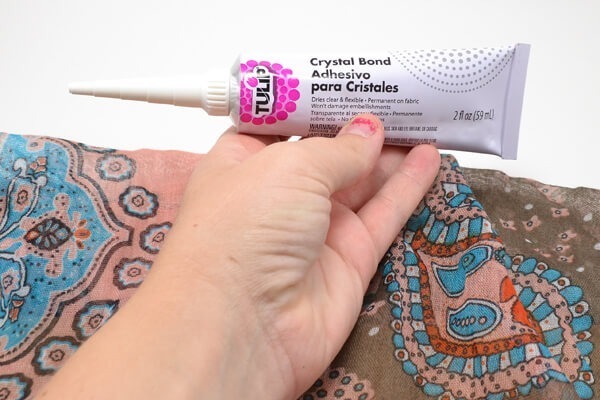 Tulip Crystal Bond <– washable glue that will keep your crystals where they belong! This stuff is freaking awesome. And not just because I’m an iLTC blogger, either. It’s seriously amazing. 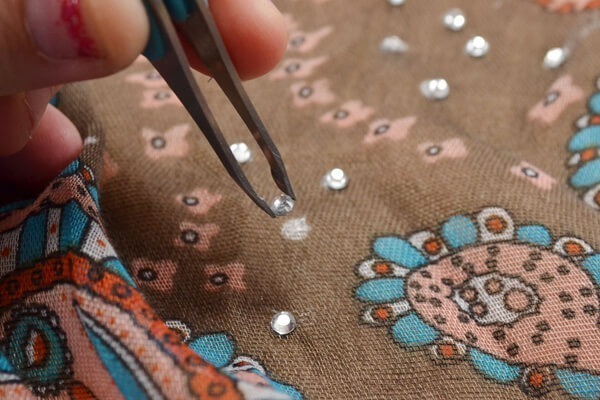 Paired with crystals that are washable (I always use hotfix type rhinestones to be sure) you’ll have the blingiest wearables and not the blingiest dryer. 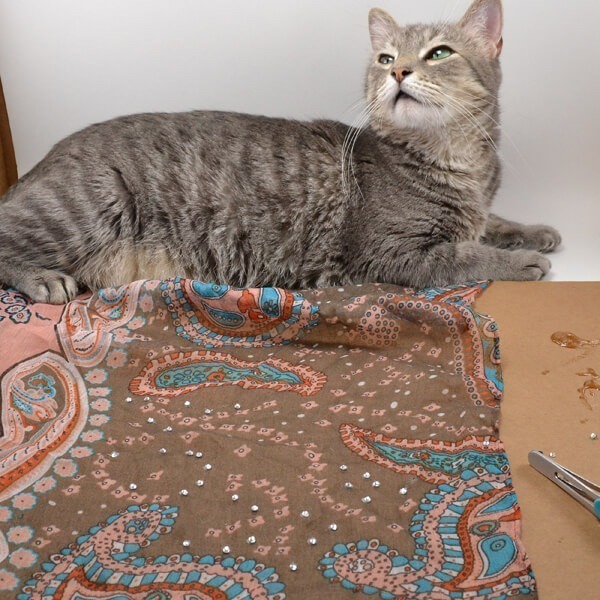 Have you ever used cheap hotfix rhinestones only to have them fall off of your tee shirt or whatever in the dryer where they proceed to attach to the dryer walls where they will NOT EVER COME OFF? I betcha a million bucks it looks like a disco party during my tumble dries. So, yeah, this stuff is every bit worth the 4 bucks or less you’ll pay for it. So here is my scarf. Well, at least part of it… and my cat Marla. I might as well introduce her because you’ll be seeing more of her in this tutorial. When I spied this one I just knew that all of those little white dots would be way more awesome as little, clear crystals! So, to get that blinged on amazing-ness grab your glue and squeeze out a tiny bit onto a piece of scrap cardboard. Use something pointy, like a skewer end, toothpick or even a nail (like from the hardware store for nailing wood together or whatever) and dip into the glue and place little daubs in 5-6 places you are going to be putting down crystals. Now this stuff dries crazy fast which is why you’re only going to put small amounts out at a time out on your cardboard and why you don’t want to make dots for 100 rhinestones right now. 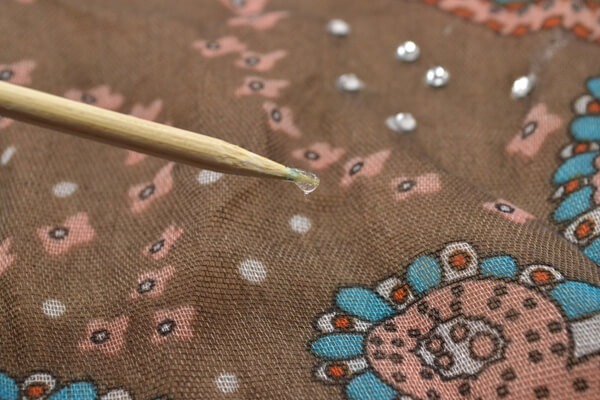 Using tweezers that aren’t your good ones set the rhinestones on top of the glue. Give a quick press down to make sure it’s secured and keep on getting after it. Oh, and be sure to work on top of a piece of cardboard because the glue will squeeze out through the weave of the fabric. After tacking down your couple pull the fabric up to loosen from the cardboard (or else you’ll have a whole lot of paper pickin’ to get after). Keep after it until you have the entire area covered that you want to. You can see here where I placed my infinity scarf around a piece of cardboard. After one area was done, I rolled the fabric downward until a new area was accessible to work on. When I was almost finished I realized that one side was completely devoid of bling. So a good 200 turquoise crystals evened up the score! And there she is! Blinged out but not overly blinged, in my opinion. The scarf itself is quite sheer which I think works really well because 500 crystals aren’t going to break my back or anything, but they are added weight. 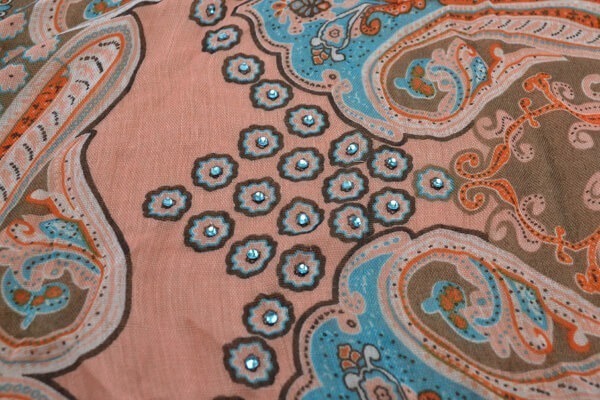 In the end, I’m absolutely crazy about this scarf. It’s the perfect addition to my wardrobe and will totally rock with one of my salmon-y pink grown lady purses I’m totally comfortable rocking these days! Love this post and want more? 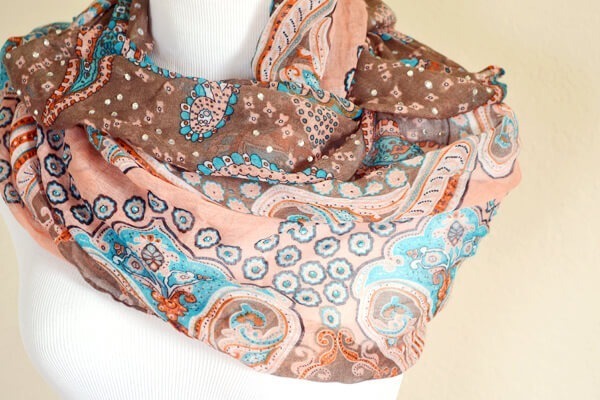 Well more’s a-coming, but for now check out the goodness from my bloggy Scarf Week pals! We’ve only just begun! 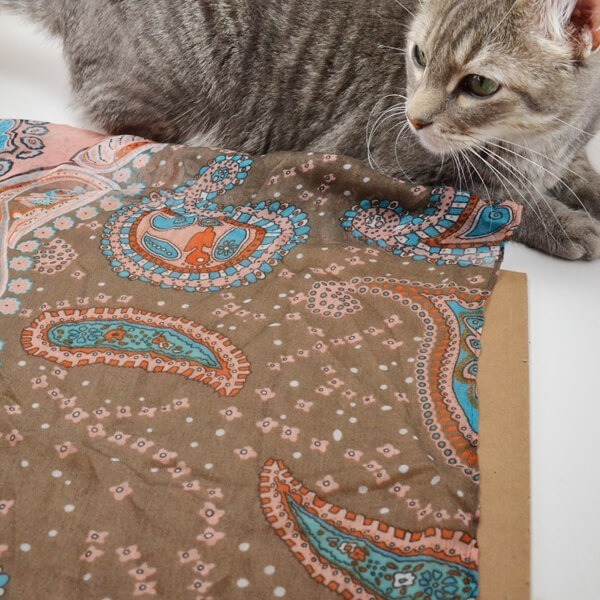 Be sure to peruse the other scarf-tastic projects hitting the blog-o-sphere today. If you haven’t done so already, be sure to visit yesterday’s post where we kicked off our special Scarf Week Giveaway! 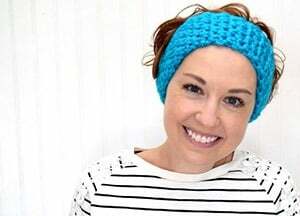 Two winners will each take home $135 in crafty prizes. Maybe you will be one of them! 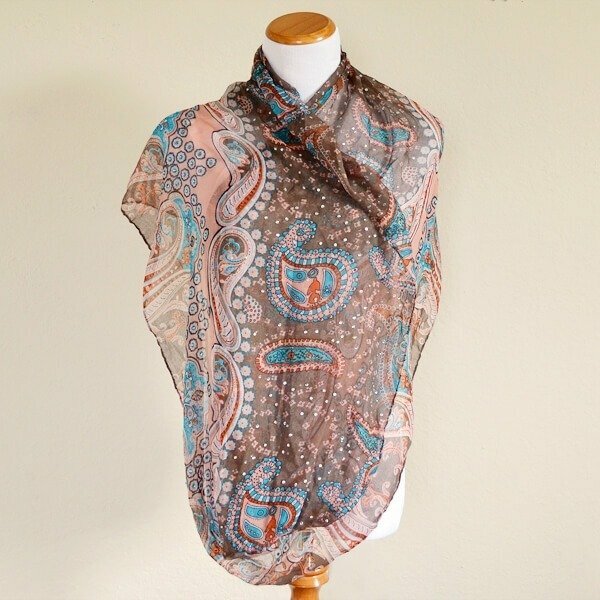 Enter the Rafflecopter widget and/or link up a scarf-related project of your own to enter to win one of the two prize packs. This giveaway ends Thursday night, August 14th, at 11:59 p.m. E.S.T. So, don’t delay! If you’re crazy about fabrics and sewing, prepare to be astonished by a visit from The Fabric Fairy! With a huge selection of fabrics, patterns, and notions, The Fabric Fairy will become your go-to shop for sewing inspiration and supplies. On top of the great selection, you just can’t lose with their low flat-rate domestic shipping! Ooo, I love this! It has just the perfect amount of bling for me! 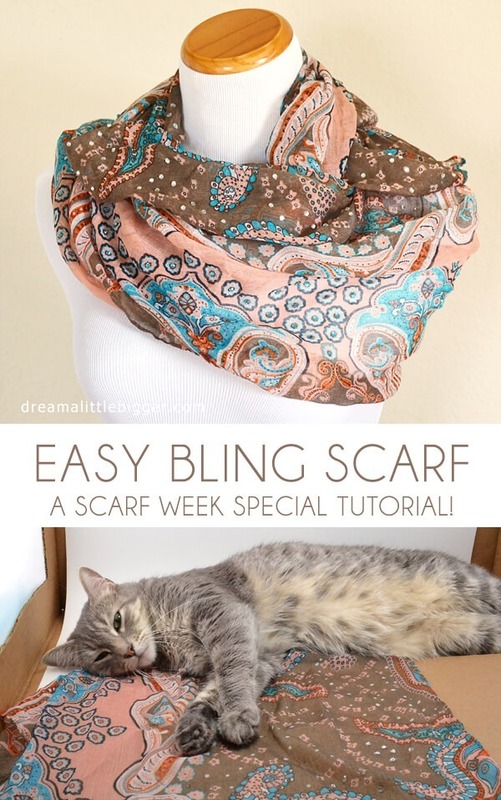 You KNOW I love me some bling…and what a clever idea you had here – – to see that Walmart scarf and see its potential to become so much more snazzy…well, that takes vision. And that’s something you have in spades, Allison. It’s why you’re such a fab partner in crime for Scarf Week! Thanks for coming along for the ride.